Come to Vail for unforgettable golf in a destination made for golf. Our Vail Valley has exceptional natural scenic beauty and terrain that will present any golfer a challenge to remember. Here are 10 golf courses in or near Vail in the Vail Valley where the game of golf has big elevated greens and tees that seem to defy Newtonian physics. And at this elevation, your ball will carry a long, long way. 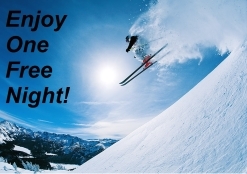 Relax, have fun, and golf Vail Valley. With 17 championship golf courses within a 38-mile radius, you're sure to have fun! Tucked into Beaver Creek Mountain, this course is long and is recognized for its narrow and challenging fairways, and its stunning scenery. Beaver Creek Golf Club was voted one of the Top 100 in the country which is a testament to its designer, Robert Trent Jones. 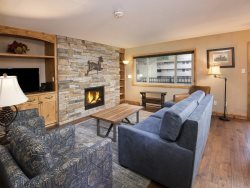 When you stay in Beaver Creek, Bachelor Gulch, and Arrowhead lodging accommodations, the course is exclusive to you. Enjoy Vail golf in the magnificent Colorado Rockies on an extraordinary course pained by the master of golf, Arnold Palmer. This course will indeed test your abilities and sooth your soul with spectacular views. Eagle Ranch Golf Club is located in the beautiful little town of Eagle, 30 minutes from Vail. This golf comes with an outdoor pool, ice rink, recreation trails, and a fitness center. A very pleasant golf course and a welcomed change from the more overpriced courses. Consider EagleVail Golf Club to be Vail's entry-level course, perfect for having one heck of a good time. Head out for 18 holes, or a 9 hole, par 3 course. But wait... the elevation changes on EagleVail will have you talking about your shots long after you head to the 19th hole. Remember, this is Vail Valley golf. A Pete Dye designed 18-hole public championship golf course for players of all abilities. Minutes from the Eagle Vail Airport and less than an hour from Vail and Beaver Creek Resorts. A great place to book your next golf tournament, wedding, fundraiser or family event. Red Sky, a Greg Norman course, was listed in Golf Digest as one of the "Best 20 Golf Resorts". Forbes Magazine said Red Sky was one of the "12 Best Private Golf Communities". Red Sky is a private course nestled near the legendary Vail and Beaver Creek Mountain Resorts, only 20 minutes from the Vail Eagle County Airport. This is a boring course without much scenery...just kidding! Tom Fazio's spectacular design measures 7,113 yards (Par 72) and merges spectacular vistas of Vail's Back Bowls with a variety of terrain to gratify players of all skill levels. Players will make their way through open sage covered hills, dense aspen and around a highland lake. Get excited! And golf Red Sky Ranch and Golf Club. Take your family and friends golfing at Cordillera. This is a 5-star, Par-3 course with 4 different sets of tees for any skill level, and distances ranging from 57 yards to 200. Want to become an elite player? Then you can work on your short game at Cordillera in a fun and inviting setting. This course was designed with the philosophy that doing well here would help you play better anywhere else in the world because it embraces about 90 percent of the shots that you'll typically see anywhere. Have fun! This course is more than a course... it's a playground. It's more than a tee time, it's the destination of your dreams. Sonnenalp is a semi-private affair 15 minutes from Vail and comes complete with swimming pool, fantastic food and an unhurried game of golf. Spectacular scenery of the Colorado Rockies, golfers of all levels, everyday playability, and the course challenges for those who seek them. Highlighted by views of the Gore Mountain Range, Vail’s mountain-style, 18-hole course features unique fairways, smooth putting surfaces and a scenic layout amidst the White River National Forest. Vail’s course features 7,024 yards of golf from the longest tees for a par of 71. Recognized by Golf Digest as a "Top 100 Resort Course. The Willow Creek Par 3 course offers an excellent alternative to playing the Eagle Vail Golf Club’s regulation 18 hole course. The Par 3 course is perfect for children, families, or beginners looking to play a short course. Advanced players will enjoy the short game challenges presented as the longest hole measures 120 yards.